It's time to deck the halls or at the very least, deck out your holiday paper crafting with our stunning new kit. The Holiday Embellishment Kit is all about sparkle, shimmer and shine! We're so thrilled to bring you this season's Sparkle & Shine Kit. We're pretty sure you're going to find this latest kit irresistable! Our Sparkle & Shine kit is inspired by the sparkle and glam of the season and is absolutely full of amazing embellishments. We'll be sharing samples for THREE different ways to use this kit and honestly, the possibilities are endless. 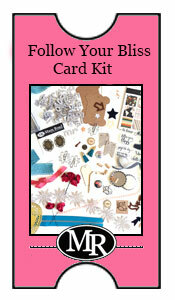 Option D - purchase the embellishment kit and create whatever you want with it! 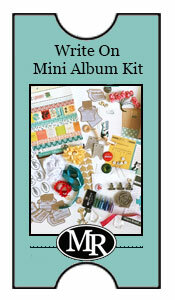 How about cards, tags, gifts, wrapping, home decor, mini albums etc. All our kits are limited edition so if you want it, make sure you purchase it right away. Quantities are limited. All this fabulousness comes in a wonderful box that you can decorate for the holidays. We think you'll agree it's a pretty amazing kit and what's even more incredible is the price! Full of more than $80 of supplies, we're selling it for only $39.99 plus shipping ($7.50 in the US which means we're even covering some of the shipping cost!). There's so many beautiful exclusives in this kit but one of the highlights is the gorgeous self-inking holiday stamp. Just check out the detail! This custom stamp retails for $20 just by itself! It's perfect for stamping on gift wrap, tags, cards, stickers and anything else you can think of. So many of the products in the Sparkle & Shine Kit are just so wonderful we thought you might want to be able to purchase a few extras. Purchase any or all of the add-ons at the same time you purchase the kit and we'll mail them at the same time with no additional shipping charge! The Sparkle & Shine kit was designed to work with whatever paper line you want. We are however, very partial to this one and many of the samples you will find in the gallery are created with it. Feel free to use your own paper or to order this darling paper pad along with your embellishment kit to recreate some of the projects shown. Our exclusive wooden buttons can only be found in the Maya Road Classic Kits. We've fallen in love with them as they make wonderful accents. We've shown two of each in the picture but you actaully get FOUR of each design with this add-on! How awesome is that? Who is dreaming of a white Christmas?! These sweet snowflake sequins make great accents and add a lovely soft shine to your projects. We love that you can use the snowflake image long past the holidays and throughout the winter season. If you love flair as much as we do, you'll love this add-on! Three more pieces of our unique and exclusive flair accents to deck out your holiday crafting are included with this extra purchase. Create your own December daily mini album, a holiday gift album or a Christmas Countdown Mini Album by adding this add-on to your cart along with the Sparkle & Shine embellishment kit. Now this is our very EXCLUSIVE add-on. Only a very few of these fabulous self-inking custom holiday stamps are available. Each kit comes with one but just in case you'd like to treat a friend you can purchase an extra here. Our glassine envelopes continue to be a very popular add-on each kit. We think they'd be especially wonderful for the holidays filled with holiday baking or treats. Why not stamp one of our kraft stickers with the holiday stamp and seal them for a wonderful look? These Kraft Circle Stickers are perfect for stamping with our Sparkle & Shine self-inking stamp. If you're looking for extras, this is the place! One sheet has an extra 20 stickers on it! We have your holiday gifts all wrapped up with these Manila and Kraft Tags. This add-on included 5 of each variety! And a special bonus addon (per kit chatter request) -how about some envelopes - these are so fun for stamping! If you're looking for samples of what you can create with this kit, look no further! Three different designers have created three unique project galleries to inspire you. Simply click on the following photos and you'll be linked right to their coordinating galleries. Each gallery has full instructions to recreate the look or inspire you to create your own. This kit will start shipping November 11th! Looking for holiday card ideas? Julia's Gallery features projects using the Sparkle & Shine Holiday Kit + the Fancy Pants Oh Deer Paper Pad Add-on! Do NOT miss this gallery project! Designed by Jody Ferlaak, this Holiday Countdown Mini Album is amazing! It makes a perfect gift and can be used year after year. This project features the Sparkle & Shine Holiday Kit + the Fancy Pants Oh Deer Paper Pad Add-on + the Tabbed Mini Album Add-on. Check out Jody's Gallery with full project pics and instructions here! One more gallery will be added soon! Stay tuned!